A small public park-In Ha park between South King and Young. *lots of private parking during dinner time. *Street parking (Read signs before you park on the street ) also available. * You may park on the reserved sign during the dinner hours in our parking lot and on the ramp parking lot. We offer you freshest Sashimi, Sushi and various chef Specials in Japanese cuisine along with selected Sake, Shochu and wines to complete your meal. Izakaya Matsuri is located in the center of town- on Young St. with lots of free parking for our customers. The hostess always knows your name and your favorite food. We were the only party there for a Saturday lunch. Many don’t know they just started opening for lunch. Limited menu but very nice assortment to choose from. I’d go back again. Want to try dinner time too! Loved the Hamachi Ponzu, grilled Moi, Asari Sakamushi and the sushi. Weird location but worth the effort to find it. I will be back. My wife and I are always looking for new places to eat. After reading the Yelp reviews, I decided to bring her to Izakaya Matsuri to celebrate her birthday. We came early to make sure we could get parking. Originally, we did not plan to be there for Happy Hour, so it was a pleasant surprise. We decided to try most of the items on the Happy Hour menu like a tasting menu. We especially enjoyed the Oburo tofu and Eggplant Nimono. Surprisingly, I also enjoyed the Deep-fried Baby Sweet Shrimp after my wife convinced me to try it. After all that, my wife wanted to try the omakase sushi plate, but accidentally ordered the fixed 10 item instead (the menu confused her). Still, it was a good choice and we were glad she ordered it. We both look forward to coming back again. Such a fabulous little place! The owners are a husband and wife team - the husband is the sushi chef and the wife is one of the servers. They are both the sweetest. The food was very yummy and fresh! The ambiance was perfect. The service was friendly and attentive. And they treated me to a delicious birthday dessert - the sake crème brulee and homemade mochi with ice cream - yum!!! We will definitely be returning! Servers are not friendly but food is very good and price is not bad! Happy hour deals are good! Amazing sushi and sashimi!! And many other dishes!! Wonderful!! We discovered this gem about a month ago. What an excellent Izakaya hidden on Young St. Everything is always excellent. Their sushi is outstanding! Fresh and delicious! Our favorite Japanese restaurant. I am sansei (third generation) American-Japanese with relatives in Japan. I have worked in Japan for many years and have frequented countless number of Izakaya as well as restaurants, kapo's and ryotei's in Tokyo. Pretty good authentic sushi and Japanese Izakaya type of food. Price OK for the food and drinks. Need more cooks to prepare dishes, since when crowded, we had to wait a bit too long for our orders to be prepared and served. 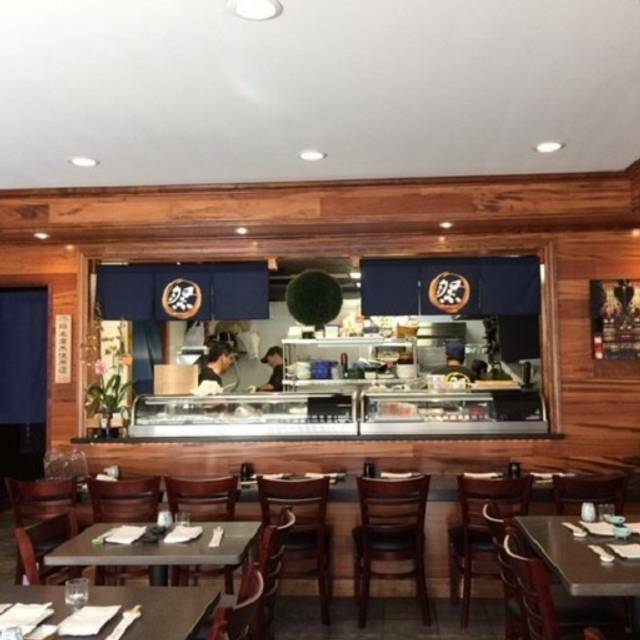 Nice casual hole in the wall to recommend to friends looking for authentic Japanese restaurants in Honolulu. Food was good. No parking. All reserved. What we liked are MP. Wonderful place to go. It's very small so be sure to make a reservation. The staff was super friendly and the food delicious. 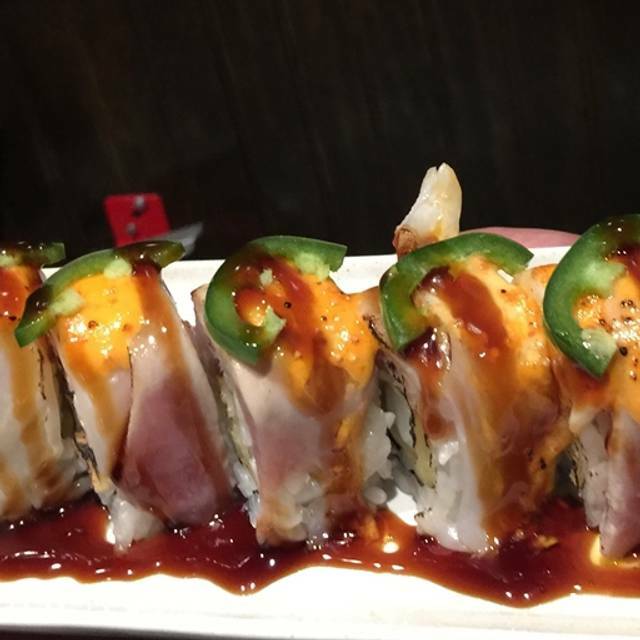 The Matsu, crunch roll, and homemade tofu are super. Very reasonably priced for the quality. It's a really nice upscale feeling atmosphere but patrons were dressed casually as it should be in Hawaii. One of the best hamachi I've had in a while. However, they ran out of sushi rice at 9:15PM on a Saturday night so no more nigiri . . .
Matsuri is a little hidden gem on Young St. The fish was fresh and sliced perfectly. There rice is excellent, perfect texture and flavor. Three of us did the omakase and we were all very impressed. The salmon nigiri arrived covered in a smoke and a glass. I would say this was our least favorite, I think it sat too long in the smoke, the smoke flavor was a little too powerful. We also enjoyed the freshly made tofu, butterfish, and karage chicken. We definitely will going back. Fish was fresh and delicious. Service good the the most part except that they forgot a couple of our orders and we had to wait quite awhile before they got it corrected. Waithelp very friendly and helpful. Our favorite Izakaya restaurant! The owners and servers are most welcoming. Their recommendations are spot on! Very family friendly with lots of parking. Can't say enough good things about Izakaya Matsuri! 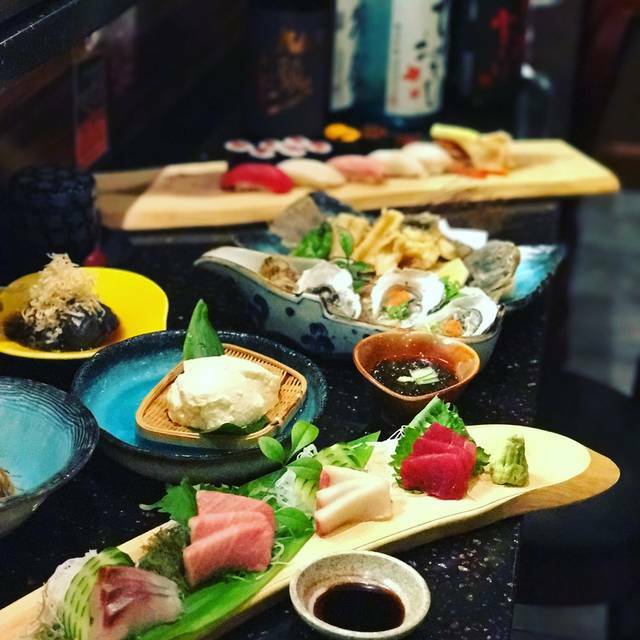 Always fresh Sushi, Sashimi and excellent Happy Hour Menu! My favorite restaurant! Mahalo Julie & Yoshi! Really delicious food. It is a small restaurant so reservations are encouraged. They were out of a few items that we wanted but the items they did have was delicious. We were the first to arrive during happy hour. Served by Julie and another young man. Drinks came quickly and we supplemented choices from the happy hour menu with the miso butterfish Kama (collar), which I’ve never had before, and the crab salad, which is one of our favorites. 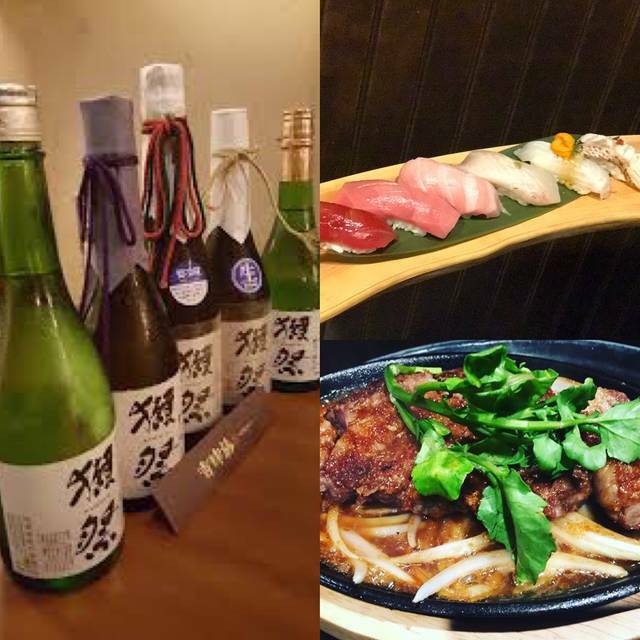 With an icy cold Asahi draft in hand and the first to get our orders into the kitchen, the food came out at a good pace and every item we ordered was prepared carefully and the taste was great. The restaurant slowly filled up but the noise level was moderately quiet. Happy hour pricing allowed us to order more items as several items come in slightly smaller servings. As repeat customers this restaurant is a great value with quality food and great service. Parking in the building is easy, especially at an early seating. There were lots of on-street parking available even after we left. It was a a bad choice but we needed to find a place to eat due to time. We ordered sushi, and it took forever to come out. I'm pretty certain they were trying to defrost it. My maguro had brown tips like it was not fresh. Excellent food and great service! Will definitely be returning for dinner! This restaurant has repeatedly delivered excellent Japanese food with meticulous attention to detail while making me feel as if I am family joining them for dinner. Good food but a bit noisy and service was slow when the restaurant was packed on a Saturday night. Overall everyone enjoyed themselves. The restaurant is small. The service is very slow, due to one sushi chef and one cooked item chef. However, the food tasted good and the presentation was also very good. The choices were understandably limited. Food items were generally not locally sourced. Excellent quality Sushi + Sashimi + Karaage + desserts. Owners Yoshi and Julie are very nice. My hubby and I always enjoy dining here. Juli is a very nice host and Yoshi is a very talented sushi chef. Exceptional quality food and we love it each time! Mahalo! Nice, cozy family run restaurant. Everything ordered was wonderful. Look forward to our next visit to dine on their omakase. Izakaya Matsuri is like a neighborhood restaurant, not big in size but comfortable for anyone who visits. 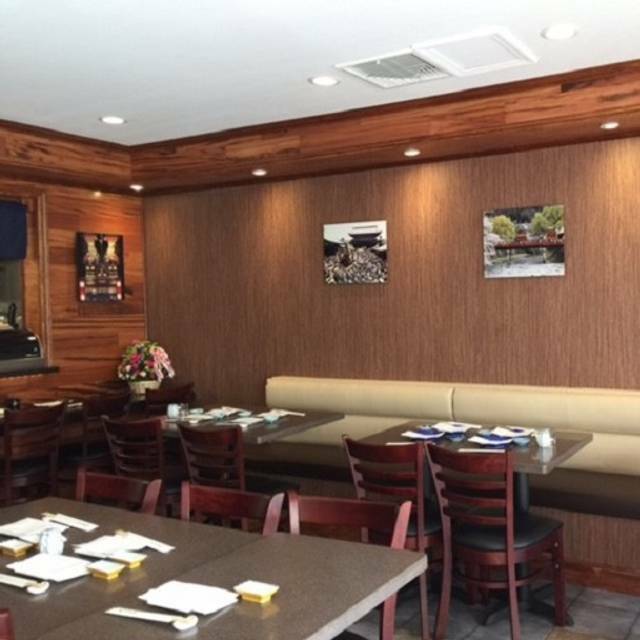 There is a small, 6-seats, sushi bar or table seating available. 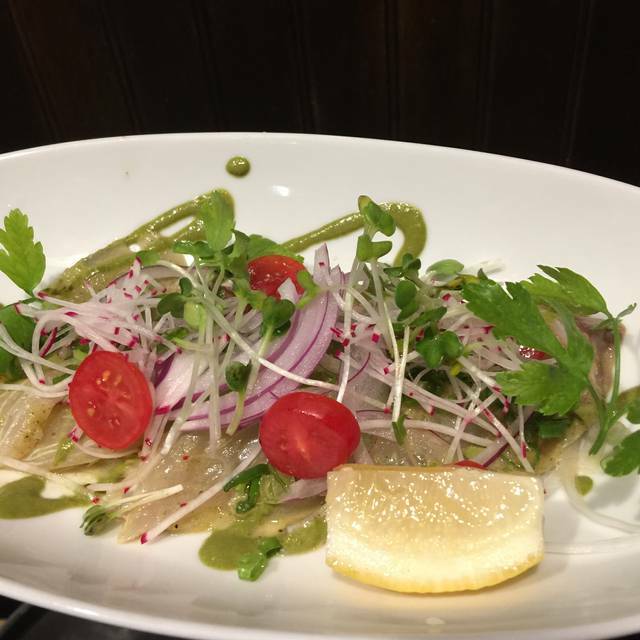 The menu offerings are mostly sashimi and sushi with an assortment of small tapas style dishes. 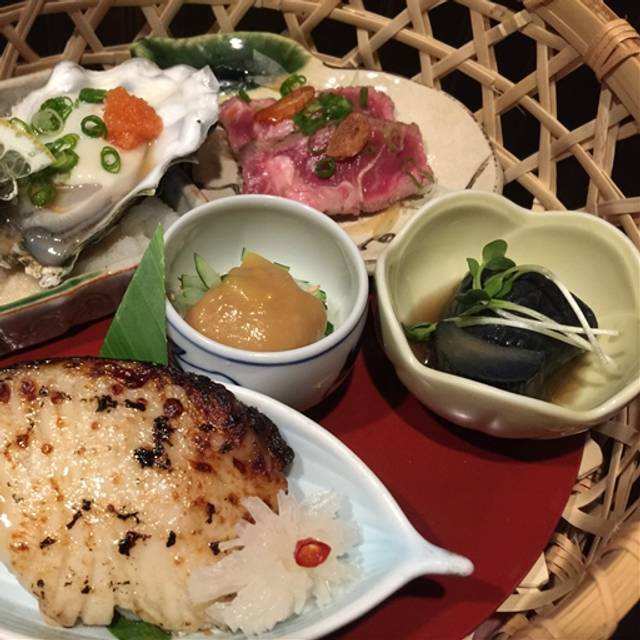 While the variety of seafood offered is good, the prices are a bit more expensive than other izakayas in town. While dining there, we sampled various dishes as well as some sushi. The food was good but we found nothing special as far as the taste or uniqueness. The service was good and courteous, but we were never offered tea during our whole meal which was rather odd for an izakaya. 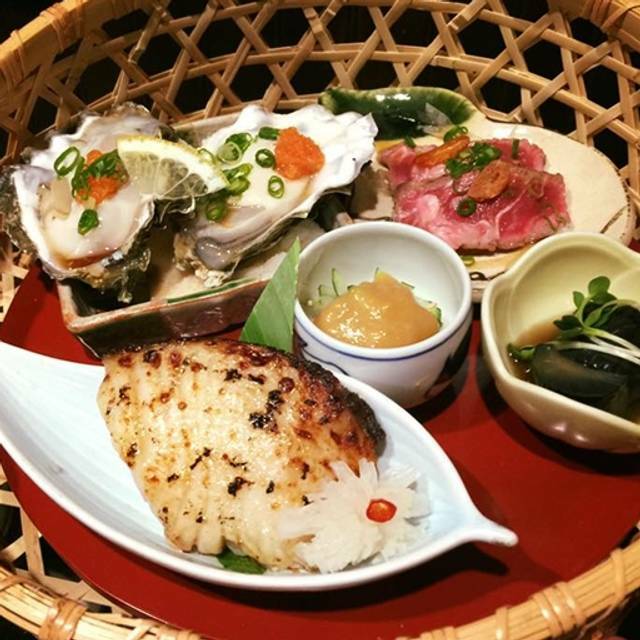 Would we dine at Izakaya Matsuri again? Possible but not probable. The presentation was great as you would expect from an Izakaya. The smoked salmon and hotate sushi was wow. The smoky flavor was on point and hit me in all the feels. I loved the hirame sushi as well. I don't normally eat oysters, but I thought the ones we had were good. My wife, the oyster eater loved hers. We had the omakase course and were not disappointed. I was fulfilled and my wife (who cannot eat as much) was nearing her limits at the end. The happy hour Dassai sake (not sure which one it was as I wasn't listening) was a great pairing. A bit pricey perhaps but worth it for a special occasion. AMAZING!!! AMAZINGLY FRESH! Crispy,light,tasty, not greasy tempura...will definitely return! REAL FRESH crab in the California roll! Go! We’ve enjoyed many dinners at Matsuri and wanted to celebrate our Anniversary dinner here. Service is friendly and the owners Julie and Yoshi (sushi chef) are very caring and explain / create their dishes exceptionally well. 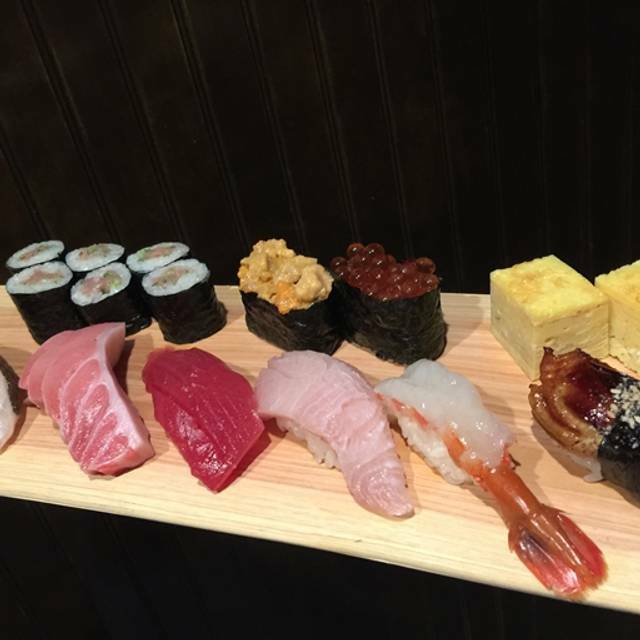 Excellent quality sashimi / sushi and presentation is consistently beautiful each time. Mahalo for outstanding food and service! We had really excellent sushi and sashimi again at Matsuri, as well as creative specialty dishes. Service is friendly and multilingual and there is convenient parking. It's becoming a favorite! We had a great dinner time. Food was outstanding! We really enjoyed our dining experience here. Excellent quality Sahimi, Nigiri, Sushi rolls, Wafu steak, Miso Butterfish, Seafood Dynamite and mouth-watering Tempura IceCream!🤣👍🏼❤️ Thank You!! !